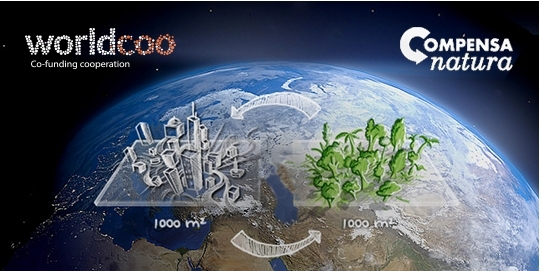 Why is grape harvested at night? 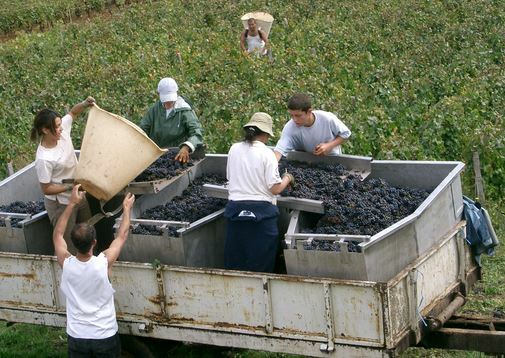 At the end of August, depending on the year, the process of grape harvesting usually begins, lasting in some cases can until October. 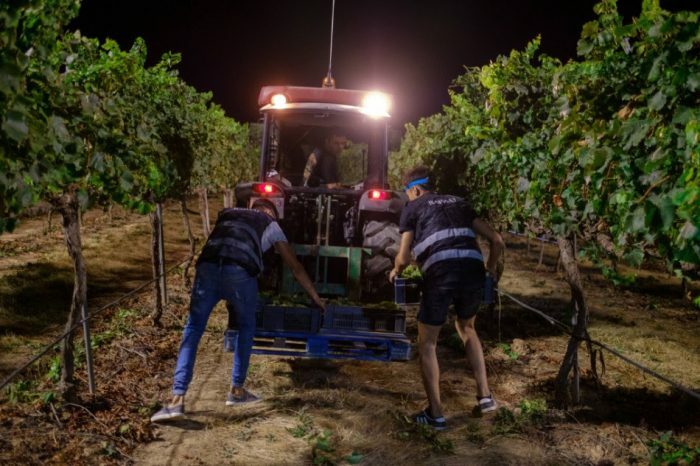 The night harvest is a common practice in some areas and winemakers in Spain, but not all of them, although it is something that is carried out more and more. The reason is because it offers a number of advantages, even if many do not just see it that way. Let’s see what they are. To lower temperatures. One of the most obvious reasons to make a harvest at night is because when the harvest season starts it is still summer and it is hot. It is during the night when temperatures drop and workers can make their harvest better and without risks. Riper grapes. Some winemakers, such as those belonging to the Designation of Origin of Rueda, where this practice is quite common, point out that the night temperature helps when collecting and handling bunches because the grapes are harder, avoiding thus the fermentative lack of control. Heat harms the grape. Not only high temperatures decrease the performance of grape harvesters but the grape also suffers. During the day, the grape tends to open up and arrives in bad condition at the winery. This entails a greater oxidation. At night all this does not happen, being the best time to pick them up and make sure they arrive correctly at the winery. Cellars save energy. When temperatures drop, the cellar can save energy because all the collected grapes come at a lower temperature. With the heat, it takes a higher energy expenditure to cool down the chambers in which the fruit will be deposited. Can all grapes be harvested at night? Although each winemaker has a different opinion, all types of grapes can be harvested at night, even if experts in the subject state that white grapes are the most indicated, since they are more sensitive to light because of their colour and skin type, and the red feature a more resistant surface. Mixed harvesting system. As we can see, the night harvest has clear advantages but it does not extend throughout the territory. We would say then that there is a mixed harvesting, from the early hours of the morning to the night, which are in both cases when it is less hot. More fruity wines. In this case, there are also experts who think otherwise, but some winemakers point out that the enzymatic activity of the grapes at night is very low, which is why it provides more fruity wines. Honoro Vera Rioja is the result of the first harvest and shows as a gorgeous young Tempranillo red wine with a short period in French oak for only a part of the assemblage. It is difficult to fit one year into numbers. So many things have happened! Just to give a brief example: in 2017 we made exactly 85,122 shipments to 35 different countries, and behind each shipment, there is a story. 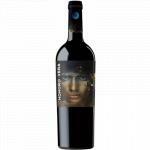 It is the story of a person who lives in Brazil, or in Sweden or in Galicia and who wanted a wine that was in Uvinum or is the story of Hannah, who recently placed an order from London to celebrate her father’s 60th birthday. It is very exciting to think that our wines were at such an intense and moving moment. How can we summarize all these stories into just a few paragraphs? There are 85,122 stories that take place in thousands of cities. In Spain, for example, they took place in Madrid, Barcelona and Valencia – the places that have bought from us the most – but also in places as remote from the point of view of these cities as Pau, in the province of Gerona (with only 551 inhabitants) or Adeje, on the island of Tenerife. And they happen in cities of other countries, of course: in London, Birmingham or Glasgow; in Berlin, Munich or Hamburg; or in Paris, Lyon or Bordeaux. Ubiquity. It is the magic of the online world. Behind these 85,122 stories, in addition, there are sub-stories. We could say that Spin-offs if we keep the analogy of TV series. For example, many of these people from all the countries in which we sell had the desire to buy the same product, which in 2017 was the Smirnoff Red Label. The most purchased Uvinum product in the world, and also the United Kingdom … In Spain, however, they opted for a white wine, José Pariente Verdejo, or in France for the M of Minuty Rosé. Birds of a feather flock together. As in all stories, there are contrasts, of course. Big and small, maximum and minimum, ambition and contention. For example, someone among these 85,122 people made a purchase of great value: spent nothing more and nothing less than € 14,440, the most expensive order this year in Uvinum, an amount similar to that spent by someone who in 2017 bought a Peugeot 208 LPG or a Dacia Lodgy Stepway. 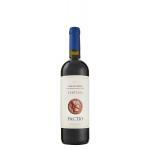 In contrast, there was someone much more content that made an order worth € 5.20, the cheapest order this year in Uvinum. There was someone – the person who most times bought in 2017 – who made 138 orders, which is as if he had placed a daily order for just over 4 months. And there was someone who decided to buy a Petrus for € 3,893.96, the most expensive wine sold this year in Uvinum, and someone else who bought what they say is one of the best beers in the world (and the most expensive), Westvleteren 12, for € 11.05. And even a whiskey aficionado who bought The Macallan Fine Oak 25 Years for € 1,031.69 per bottle, the most expensive distillate sold this year. Also, as in all history, there is solidarity, that of 5,980 customers who during 2017 decided to contribute a euro in solidarity with their purchase. With this euro, we were able to contribute to improving the lives of 43 children in India with leprosy -in support of a reconstructive surgery project- and the 50 children of Mandrosoa (Madagascar), with a scholarship project, assures them a daily meal at school. There is, of course, a bit of originality. For example, do you know the exclusive edition of Absolut Elyx? In 2017 it was one of the most striking products in our catalogue and, in addition, Uvinum is one of the few sites in Europe and the only one in Spain that has it for sale. We are happy to contribute these little details to history, just as we are happy to offer more and more products: last year we made available to our customers more than 100,000 products, 34% more than in 2016. Because this is also a story of growth. And, in 2018 we will continue like this. With a team of 10 different nationalities involved 100% to keep growing (in addition, a team that grows in many ways, because we had 3 new babies on board!). We will continue improving. Expanding Offering distillates, beers and, above all, wines that are part of the lives of our customers, that make them smile, dream, that becomes part of their memory when, as in the case of Hannah, remember the moment in which she toasted for his father’s 60th birthday. The Uvinum Team is excited for sharing with you this really good news! 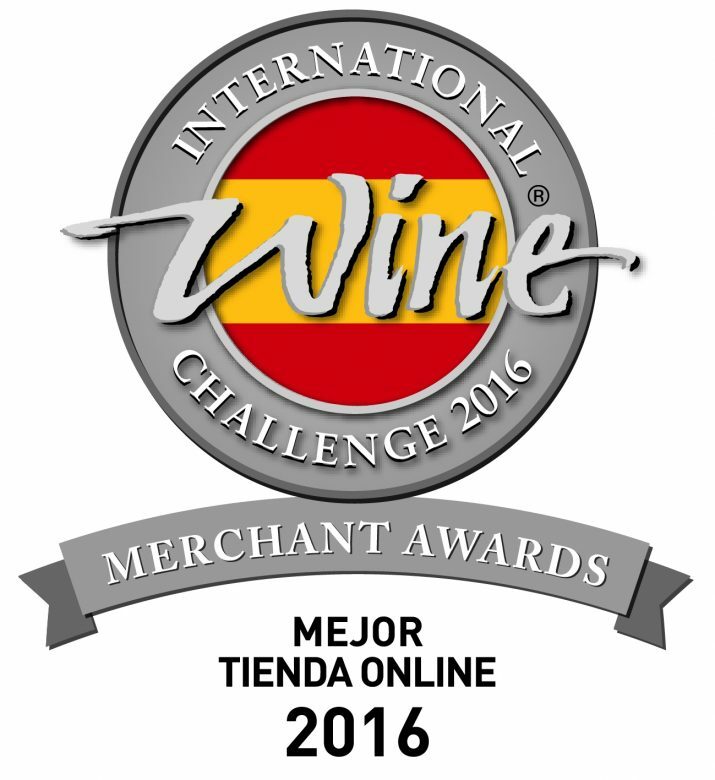 Last week it was held the first Spanish Edition of the prestigious The International Wine Challenge (IWC), where Uvinum was awarded as the Best Online Wine Retailer. The international jury of the IWC gave the prize to Uvinum thanks to “a great selection, a great rotation and a great disponibility of products. This is a very intuitive online website that joins smart design and usable interface with customer focused services like live chat and clever online promotions“. A prize like this one is a very strong motivation for us to continue improving our service and offering you the best wines, spirits, and beers at the best price, which has been our mission since Nico, Albert L. and Albert G. founded Uvinum in 2009. We are very conscious of the fact that prize wouldn’t have been possible without you. By choosing us as your online wine retailer, you make us better, and we thank your confidence and wish that we can share our passion for wine for many years. Thank you for helping us preserve our planet! The year 2015 ends today and there is no better way in celebrating it with you. Thanks to the great support of our Uvinum clients, we have accomplished 100% of our marked goal for the project, Compensa Natura. It’s the goal of this organisation to preserve the last old-growth forests in Spain, one of Europe’s most important exponents of extraordinary biodiversity. This is already the second project, that we financially support via the platform, Worldcoo. This website facilitates organized group financing of solidary projects. We are very proud of having accomplished our goal and that we were able to add our little share to improve our unique planet together with your help. But the challenges don’t stop here. There are a lot of causes and people, that need help from all of us. Along the past year, thousands of persons were forced to leave their homes behind because of war and poverty. This is why we want to get back to Worldcoo supporting Oxfam Intermón, a social project to help the refugees. The goal of Oxfam Intermón is to provide the refugees with clean water, shelter and essential help. With the contribution, collected via the purchases at Uvinum, the organization will distribute hygienic kits and blankets to 154 refugee families in Serbia. We’d like to encourage you to participate as well. Together we can help lots of refugees in need. Thank you for trusting in Uvinum and thank you for your solidarity! Christmas is around the corner. Not only in Uvinum but also at your home, mine and our neighbours’. It’s about time then to cool the champagne or decant the Gran Reserva. Everything has to be done and ready for the arrival of your cheerful family, raising your glasses to a very merry Christmas – even if you have to do so in your ugly Christmas sweater, your mother-in-law gave you last year. There is no escape. The time has come to think of all the good that happened during the past 12 months. Let’s celebrate these precious moments with family and friends. We sincerely hope we were a small part of your year with what we love most: Wine. After 6 years online there still is nothing more endearing to us than helping you discovering new, great and the most awarded wines… always aiming at offering you the best options for the best price according to your needs. 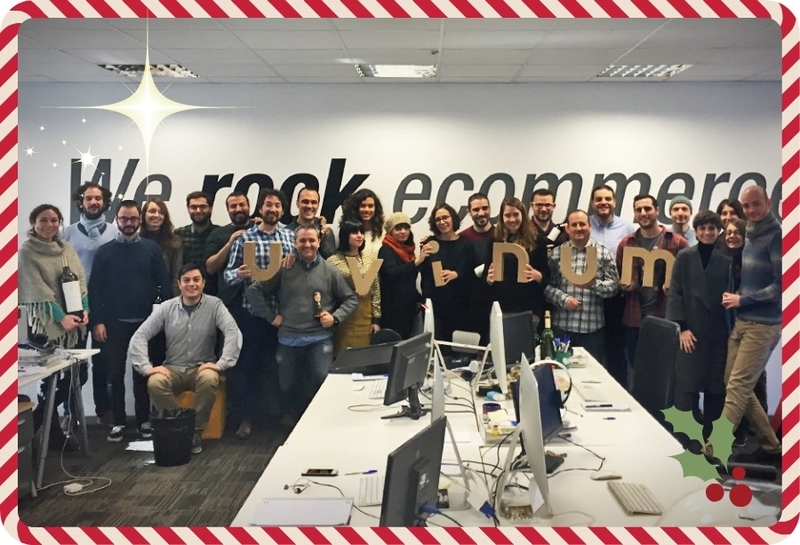 On top of all, we tried to make your holidays, even more, colourful this year. For example, we launched our first Christmas Catalogue and we worked on offering you a special offer on shipping costs, so you can save money. We hope our new endeavours helped you discover new wines, cavas, champagnes and hooch to share, drink and enjoy with your loved ones. Even Star Wars didn’t miss out on us as we coined our own Wine Wars. (Did you decide which side of the force you’re on, yet?) Christmas spirit and the premiere of Star Wars: The force awakens beamed our own spirit all the way through the wine galaxy. Do you know which grapes are the most popular ones? And which are the best pairings for them? Don’t miss the infographic which we have elaborated just for you in order to offer you some information about the most common grapes as well as some pairings, so that you can enjoy their taste even more. And all that in the most simple and effective way! Discover and share! 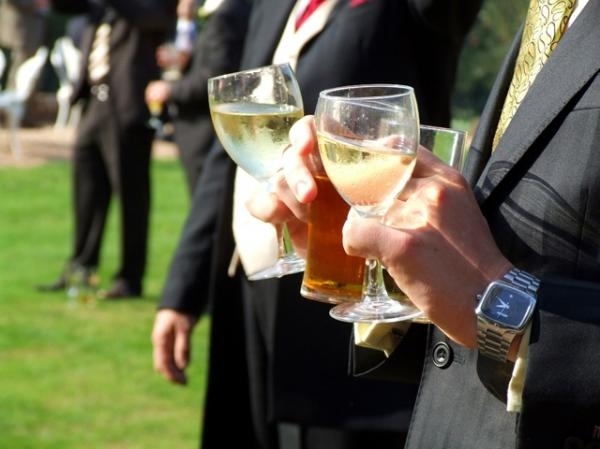 What are the 6 drinks with higher alcohol content? 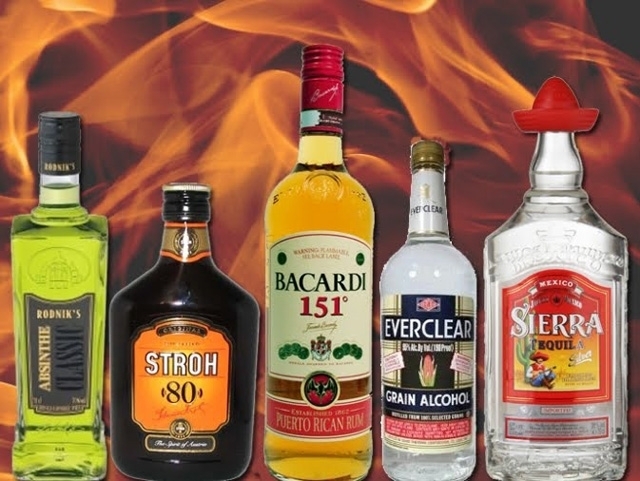 While we all not have the same tolerance to alcohol, there are many drinks to try and many favorites, so today we will mention the 6 drinks with higher alcohol content. With them you can kick out the cold for sure, but you should drink them in moderation. Everclear: Included in 1979 in the Guinness Record Book as the most alcoholic in the world, it is distilled from grain, used in similar ways to vodka, and has 95% alcohol. Absinthe: The second position is for Absinthe, the controversial drink with remarkable story that became the favorite of artists during the nineteenth century. It has between 70 and 90 degrees of alcohol. Vodka Devil’s Spring: it has 80% alcohol, that is twice than any ordinary vodka. It is manufactured in New Jersey, and its creators recommend mixing it with water to consume. Rum Stroh 80: This rum produced in Austria, is owned by the Stroh brand and, with 80% alcohol, is distributed in 30 countries worldwide. 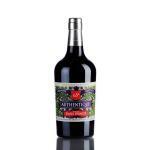 It is characterized by being aromatic and quite spicy. Rum Bacardi 151: This rum of Cuban origins is positioned as the fifth drink with higher alcohol content in the ranking. It is currently produced in Puerto Rico, and the rest of their products have a lower graduation than the 75.5 degrees of Rum 151 Bacardi. 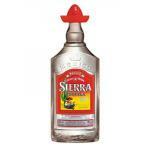 Tequila Sierra Silver: among all brands of tequila, this is the one with higher alcohol content. With 38% in its original version, this beverage sold in Mexico is 75% alcohol. Its presentation is very striking thanks to its red mariachi hat shaped cap. Among champagne lovers, there are 10 countries that stand out for their consumption levels of this delicious drink, preferred by many in romantic evenings and toasts. Despite the difficulties in sales of champagne in some countries for the second consecutive year, half of these 10 countries showed growth in their consumption according to figures provided by the UK Champagne Bureau. 2,495,188 bottles consumed in 2013, representing a 7.6% growth compared to 2012. With 3,066,022 bottles consumed in 2013, leaving the lead to their traditional cava, but still showing their passion for a good champagne. 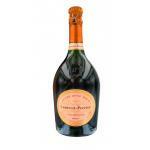 With 5,137,664 bottles sold in 2013, champagne imports in this country fell 4.07%. With 5,359,536 bottles sold, Champagne imports fell 14.18% in 2013. With 6,023,165 bottles imported to Australia, these figures are gradually growing every year, Australia has the second highest growth in consumption of champagne in 2013 with 11.4%. With 9,525,304 bottles consumed in 2013, the margins of sales increased by 14.1%. Despite being a relatively small country, the people of Belgium managed to sell nearly 10 million bottles over last year. With 9,674,446 bottles in 2013, it is the only Asian market that is part of this count, increasing its imports by 6.7%. In Germany the champagne had a stable position in 2013, with a fall in imports of only 1.57%. Imports of Champagne to the US continued to grow in 2013, albeit only 0.93%, 160,000 bottles more compared to 2012. Despite Champagne registered imports fell 5.1% in volume and 3.8% in value during 2013. Of a total of 136.6 million bottles, 30.8 million were shipped to Britain. 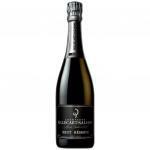 Billecart Salmon produces this Billecart-Salmon Brut Réserve (£26.00) a sparkling wine from the Champagne DO which is made with pinot Noir and pinot Meuniere. 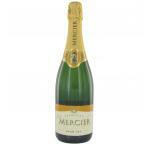 Mercier Demi Sec is a sparkling wine from Champagne DO. 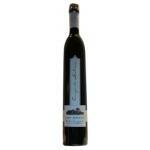 3,3 points on 5 is the average score of Mercier Demi Sec according to Uvinum users. 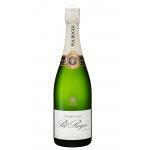 Champagne Pol Roger Brut Reserve is a balance between power and finesse. 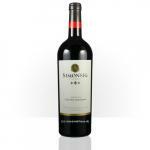 It combines wonderfully structure and vinosity, elegance and freshness. A perfect gin tonic has just one secret to hide. Or perhaps two. 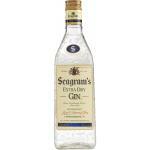 Firstly, we need a gin of good quality. Secondly it is important that the mixture doesn’t predominate the original flavours of the gin: nor fancy tonics nor random condiments. Just quality and simplicity, and then enjoy it! To create an authentic version of this cocktail, it is recommendable to choose a classic gin like Seagrams or Tanqueray which is predominated by notes of juniper berry. First of all, we fill a balloon glass with ice. After that we cut a stripe of lemon peel (separating the white zest), squeeze it into the glass, sweep it along the edge of the glass and and then add the ice. Afterwards we mash some juniper berries without busting them and also place them into the balloon glass. 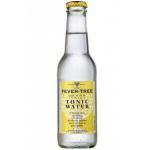 After having laced the gin, we finally pour over the tonic water smoothly. Help yourself with a braided spoon to serve it more easily! 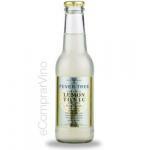 For this recipe, it is recommendable to choose a gin with citric notes as p.e. 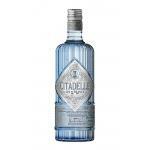 Citadelle: A gin which offers not only a convincing lemon touch, but also a smooth and aromatic flavour. First of all, we fill a balloon glass with ice. After that we cut a stripe of orange peel (separating the white zest), squeeze it into the glass, sweep it along the edge of the glass and then add the ice. After having laced the gin, we finally pour over the tonic water smoothly. Help yourself with a braided spoon to serve it more easily! 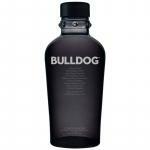 The floral touch will be provided by using a gin like Bulldog which is predominated by botancis as poppy seeds and longan. You can also add some dried leaves of lavender, orange flower and roses. First of all, we fill a balloon glass with ice. After that we add the dried leaves of lavender, orange flower and roses. 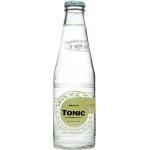 After having laced the gin, we finally pour over the tonic water smoothly. Help yourself with a braided spoon to serve it more easily! We let it rest for a moment to hydrate the leaves and serve it. Now you just have to enjoy your gin tonic. Let yourself be overwhelmed by this fresh and special palate. Cheers! 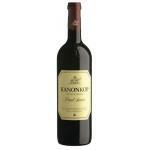 A great proposal for your Christmas menu paired with the best wines! Doubts about your Christmas dinner? A proposal for your Christmas menu paired with the best wines. Certainly a resounding success! Christmas is around the corner and we are sure that you are already thinking in your menu. Let yourself be inspired by our menu paired with the best wines, sparkling wines and liqueurs to ensure that you will seduce your commensals with one of your best allies. The best meal deserves a great appetiser. An option? Taste a prawn cocktail with a quality sparkling. ¡A winner combination! The traditional Christmas table is always crowned with a big roast turkey. And a big roast turkey needs a wine at its level. So, if you choose this plate, you will need a bordeaux blended with a combination of power and elegance. And so it happens with the side dish: your turkey will be the best turkey ever if you accompany it with this seasoned brussels sprouts and another glass of this great wine. To end a meal of such a quality, what better than a soft and sweet dessert paired with a delicious liqueur? A great end to a great start! Feel like this paired menu? 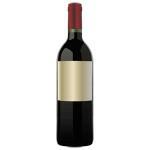 Find the selection of products at Uvinum and enjoy a more than excellent paired menu. And, if you are running out of ideas, you can always read other inspiring articles for your Christmas celebretions. Don’t miss them!